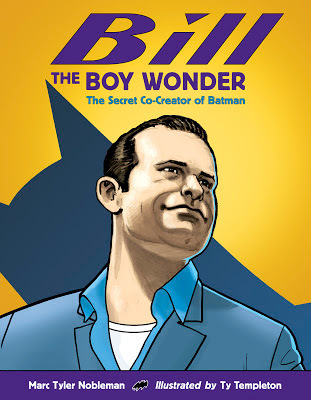 I’m honored to report that Bill the Boy Wonder: The Secret Co-Creator of Batman is among distinguished company in being named to the Bank Street College of Education list of the Best Children’s Books of the Year, 2013 (Nine to Twelve category). I’m further honored that it also got a star for Outstanding Merit. Thank you, Bank Street, for honoring Bill in the city in which he made pop culture history.